It is essential that Sikhs around the world voice our opposition to the bills that would only affect and punish Sikhs as law-abiding citizens. Please contact Assembly Speaker John Perez this week August 26th-30th and ask him to keep ALL anti-gun bills in Assembly Appropriations suspense file and NOT move them to the Assembly floor for a vote. Call or write Gursant Singh with questions and requests for help with individual or group training at your Gurdwaras on the use of handguns and rifles for self-defense and security. Guru Gobind Singh Ji commanded his Sikhs to carry the most portable and deadly weapons available, therefore why wouldn't it be incumbent on Sikhs to carry handguns in today's modern society where we face attackers and hate mongers who would destroy us like the Moghuls and Hindu Rajas of old? Those who never depart his/her weapons, they are the Khalsa with excellent rehats. 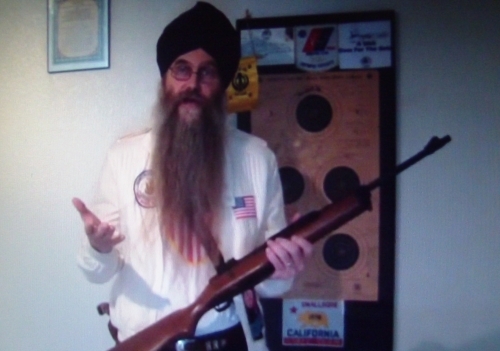 Join the Sikh Shooting Team USA.